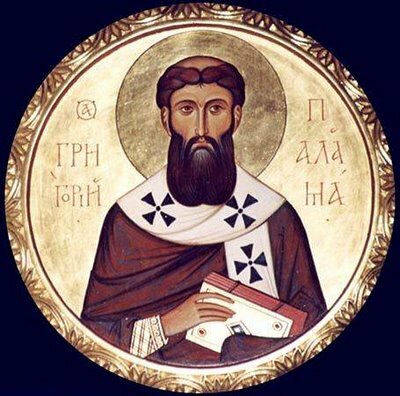 Here you will find information about the Palamas Seminar, an International Research Co-operative on the work and legacy of St Gregory Palamas (1296–1359), one of the most important Orthodox Theologians and Philosophers of the late Byzantine Era. On the left menu, below the Palamas Seminar heading, there are links to two Palamas Seminar meetings: one for the Veroia, Greece 2015 meeting and the other for the Neamt, Romania 2016 meeting, with the programmes of the conferences and photos from the meetings (soon we will have also links to videos from the meetings). Future Conferences include: in early Summer 2017 in Romania; in November 2017 in Pskov, Russia; in 2018 in Porto, Portugal. After the successful International Conference on the Philosophy and Theology of St Gregory Palamas (Thessaloniki- Veroia- Holy Mt Athos, March 2012), the Round Table on St Gregory Palamas' Philosophy at the World Congress of Philosophy in Athens (August 2013) and the International Conference on Meister Eckhart and St Gregory Palamas (St Petersburg State University, St Petersburg, Russia, June 2014), Dr C. Athanasopoulos (UK- Greece), Professor Dan Chitoiu, State University of Iasi/Romanian Academy and Professor Oleg Dushin (St Petersburgh, Russia) decided to collaborate in the foundation of the St Gregory Palamas Seminar with the purpose of creating an international discussion space that can be moved across countries and provide a fruitful forum for exchange of ideas on academically plausible interpretations and applications of St Gregory Palamas' Philosophy and Theology. -An annual meeting (of two to five days in duration) of researchers in the Philosophy and Theology of St Gregory Palamas to exchange views on the proper interpretation of St Gregory Palamas' works. There may be a possibility for more frequent meetings depending on the interest of the collaborator researchers to host meetings. -An Inter-disciplinary attitude towards the work of St Gregory Palamas: historians, theologians, philosophers, aesthetics and art specialists and other academics meet on a regular basis to investigate all aspects of St Gregory Palamas' influence. -An Inter-Faith dimension: Participants from all faiths are welcome as participants and contributors of the Seminar. This will allow for a greater understanding of St Gregory Palamas' texts in other faiths and other Christian denominations. -An International exchange of views on St Gregory Palamas: the Seminar has been created with the purpose that it will attract scholars from all the world and it will meet in different places for each year. The first meeting of the Seminar will be in 2015 at the Holy Skete of Veroia and at Holy Mt Athos (19-22 June, 2015). The hope is that subsequent meetings will take place in Romania, Russia, and other countries (and possibly again in Greece in the near future). Final details of the programme of meetings will be arranged in co-operation with the participants, hosts/organisers and the founders of the Seminar. -There will be no official language in the proceedings but the official language of communication during the Seminar is in English so as to maintain and support the international character of the Seminar (this means that the participants can present their views in any language they wish, but if the contributors do not wish to read their paper in English they should prepare a translation of their paper in English, to be distributed to the Seminar participants). All potential contributors to the proceedings of the Seminar must submit a short CV and the title and abstract of their presentation in no more than 1000 words in English to the host/organiser of the Seminar for the given year. -Proceedings of the Seminar will be published by the host/organiser of the Seminar in co-operation with the founders of the Seminar. -Finalised details of the programme for each Seminar will be decided by the host/organiser of the Seminar in co-operation with the founders of the Seminar.